Jim Harrison is a test pilot in the United States Air Force, one of the exalted few. He spends his days cheating death in the skies above the Mojave Desert and his nights at his friend Pancho’s bar, often with his wife, Grace. She and Harrison are secretly desperate for a child-and when, against all odds, Grace learns that she is pregnant, the two are overcome with joy. But when his family is faced with a sudden and inexplicable tragedy, Harrison’s instincts as a father and a pilot are put to test. 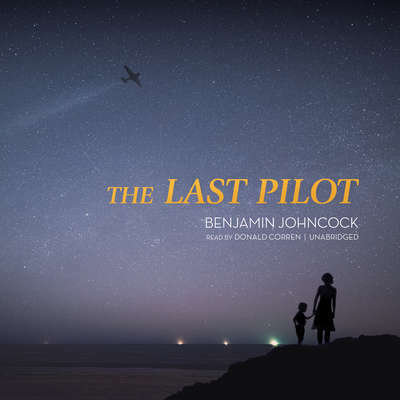 As a pilot, he feels compelled to lead them through it-and as a father, he fears that he has fallen short. This was a little different than what I expected. I thought I would get a fast-paced thrill-ride centering around the space program and astronauts, or maybe the excitement of Apollo 13, but rather than an adventure based on the pilots, the newly emerging space program, and the race to the moon, the novel uses the space program as a backdrop to the powerful story of test pilot Jim’s friends and family, and a realistic look at life. As a youngster I can remember eagerly following the space program and found the inclusion of real life pilots and astronauts such as Chuck Yeager, Jim Lovell, John Glenn, and Gus Grissom, an enjoyable addition to Jim’s story. But even for those who are not interested in the history of the space race – yes, there is detail on the subject – the interesting, well-developed characters plus a nostalgic ride back to more innocent, hopeful times, make this a book worth experiencing. Interesting note: The background information on the space program is so well-researched and the story felt so authentic that I didn’t realize the book wasn’t written by an American. The author is British. Narrated by Donald Corren. Good pacing and a smooth voice make this a pleasant listen. Experienced listeners will have not trouble engaging and following the story. Leslie, this does sound interesting. Have a terrific weekend!